The show home is usually a higher specification than “standard” homes. Kitchen units, worktops, carpets, lights and other fittings are likely to be at the top end of the range offered by the house builder. All possible upgrades available will be featured in the show home such as upgrades on flooring, kitchen cabinets, granite worktops, light fittings, burglar alarm, doors, kitchen appliances, and various other fixtures like mirrors etc. Buyers can see how the completed development looks and how many “For Sale” boards there are already. This is always a bad sign. Buyers may be able to get a deal so all the furnishings, even bed linen and duvet covers are included so all you need to move in is your suitcase, saving a lot of hassle and time. That is, if they actually appeal to you. Most people think show homes are tacky and bad taste. Buyers can inspect everything, all the fittings, fixtures, floor coverings etc before deciding to buy and check the workmanship. You also can see exactly what the rooms are like – the opposite of where a room layout or design is changed between buyers signing contracts and the home actually being built. The rear garden is turfed sometimes landscaped. The development is virtually finished so you will have had less inconvenience of living on a building site, than those that bought early. Show homes are usually sold at a premium price and with an ex show house you are also usually overpaying for fixtures and fittings, lighting, rear garden landscaping, carpets and alarms. You will not be able to choose the kitchen and any other of the options that were available to other buyers. A show home should always be considered as second-hand. It will have lots of snags and damage, so it would still be wise to have it professionally inspected and snagged. It is quite common for the show homes to be “raided” for materials and parts for other homes when they are handed over. These are often forgotten and never replaced, even if there was an intention to do so. For example cooker parts, manuals, kitchen handles, sink plugs etc. You will be one of the last to move in, since the builder will want to use the show home for as long as they can. So the trades and site manager will not be available on site when you encounter problems with your “new” home. You will be in the hands of their office-based customer care department. Steam cleaning carpets (a necessity) will remove anti-moth and anti-stain treatments. Show homes are nearly always built to absurdly tight short programmes often in just a few weeks. This means that quality always suffers. No buyer or sales advisor will look at the brickwork, roof, or roof space! There have been instances where the roof spaces have never been insulated, baths and taps may not have been run for years, there could even be blocked drains, and leaking plumbing if water stop valves had been shut off. All because it was an unoccupied show home. Show homes are the first homes built. As such they are a learning curve for the trades who perhaps have never built that design or specification before. Mistakes are made and lessons learned building the show homes. Any show home will have been used. Consider that the heating could have been on flat out, each winter for two years meaning the condensing boiler is on its last legs. The chances are it will never have been serviced either, probably negating manufacturer’s warranty too. The kitchen appliances will also have been used, especially the fridge/freezer and dishwasher for the sales advisor’s tea and coffee! All appliances will now be outside the manufacturer’s 1-year warranty. 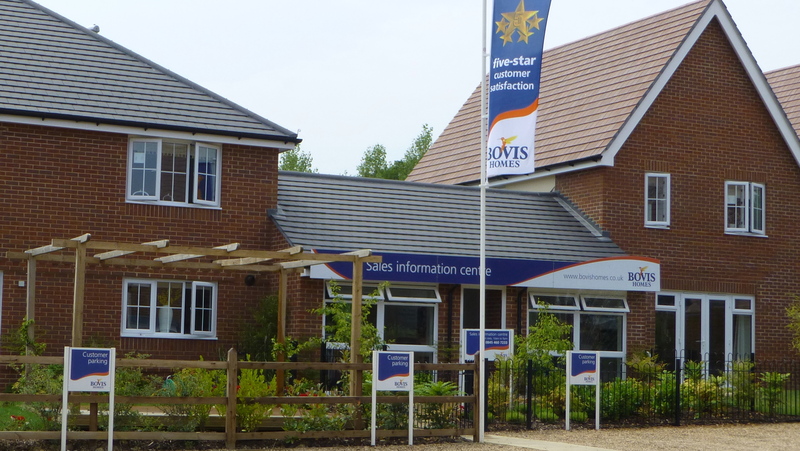 There may be no two-year NHBC warranty either, as the show home will have been registered when it was finished, probably well over two years ago. Consider that all your neighbours will have been in your house at some time! Show homes are nearly always at the entrance to the estate adjacent to the existing main road and every car on the development will drive pass each morning. The plot next to the show house is usually used as a car park, so expect building work for six months as the very last house is built, right next door! This entry was posted in New Homes and tagged quality, show homes, snagging, specification. Bookmark the permalink.